Written and edited by experts in the field, this collection from Cold Spring Harbor Perspectives in Medicine reviews recent work on retinal diseases, describing their genetic and molecular basis, their clinical characteristics, and strategies to diagnose and treat them. The contributors emphasize how genetic approaches are currently driving progress in the field. They discuss the genetic mutations and modifiers that underlie disease development and progression, the gene expression patterns that characterize them, and how this information is being used for medical applications. In particular, the authors describe impressive advances in gene therapy treatments for retinal diseases, some of which have led to clinical success. Common retinal diseases such as age-related macular degeneration, glaucoma, and retinitis pigmentosa are covered, as are rare disorders such as Leber congenital amaurosis and Usher syndrome. 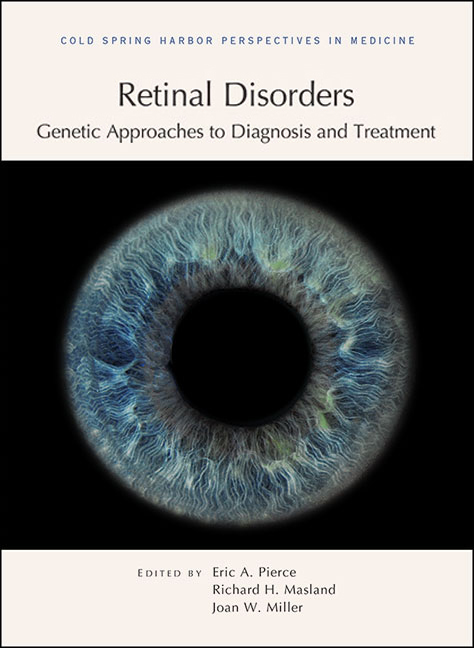 This volume will be a useful reference for geneticists, neurobiologists, and ophthalmologists who must understand and manage disorders of the retina, as well as anyone working to develop gene therapies for other medical conditions. What Is Next For Retinal Gene Therapy?